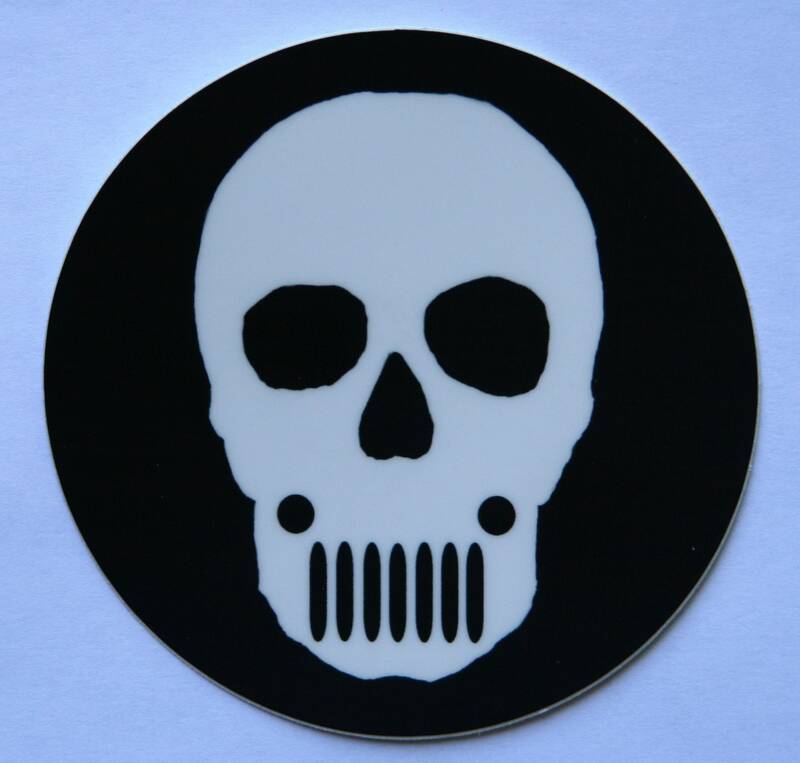 A sticker of a skull with a slightly strange set of teeth. Why, that almost looks like the grill on a Jeep. The sticker is vinyl and is 3 inches in diameter. Fits nicely on my rear gate near the handle. 3 bucks and free shipping. What the hell, why not?? ?